1. Water recycling projects could save California 1.1 million acre feet of water a year — roughly twice as much as building a $9 billion new dam — but Congressional Republicans are blocking more funding for recycling projects, the Chron$ reports. The GOP majority continues to push legislation that “focuses instead on transferring existing water from Northern California to the San Joaquin Valley by overriding environmental regulations.” The GOP considers water recycling, which turns wastewater into drinking water and would go a long way toward making California drought resistant, “an earmark.” Because of Republican opposition, the Obama administration is only proposing to spend $20 million on water recycling projects throughout the West. 2. The Whole Foods store on Harrison Street near Lake Merritt in Oakland fired its security company — Admiral Security Services — after one of its guards was caught on video, savagely beating a Black customer late last week, the Bay Area News Group$ reports. Whole Foods has hired a new security company to patrol the store. 3. Moderate Democrats and conservative Republicans are claiming that Jerry Brown’s plan to slash gasoline usage by 50 percent in the next fifteen years will kill jobs in California, but the Mercury News$ reports that the state can easily attain the governor’s goal — and is already on track to do so. 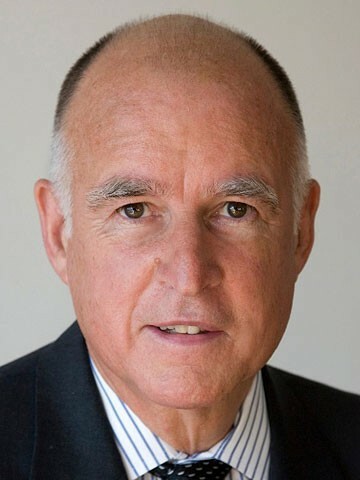 The legislature has until the end of this week to approve Brown’s plan. 4. The governor is pushing a proposal to retroactively award high school diplomas to students who were denied them because they failed to pass the California high school exit exam dating back to 2006, the Chron$ reports. California recently stopped administering the test. 5. The mayor of Carson, who is leading the campaign to move the Oakland Raiders to Southern California, may not actually live in Carson, a revelation that could derail the relocation proposal. The LA Times$ uncovered evidence that Mayor Albert Robles lives in the town of Kenwood, which is ten miles away from Carson. If true, Robles could end up in prison for voter fraud. 6. President Obama issued an executive order on Labor Day that requires federal contractors to offer up to seven days of sick leave a year to their employees — a move that could impact 300,000 workers, the Washington Post reports (via the Chron). 7. And Bernie Sanders has jumped to a nine-point lead in New Hampshire over Hillary Rodham Clinton, Reuters reports, citing a new NBC News/Marist Poll. In July, Clinton had a ten-point lead.